Ilya Meyer – The Tundra Tabloids……. Sweden: Exonerated Jewish teacher was falsely accused of molestation to rid him from majority Muslim school……. SWEDISH PRO-ISRAEL ACTIVIST ILYA MEYER ASKS CURRENT PM IF HE’S STILL HAPPY ABOUT FUNDING PROMOTERS OF JEW HATRED……. HAMAS ATTACK SERVED ITS PURPOSE, IRAN BENEFITS FROM THE DIVERSION OF ATTENTION……..
Barry Rubin has an interesting angle as well, click here. More here. 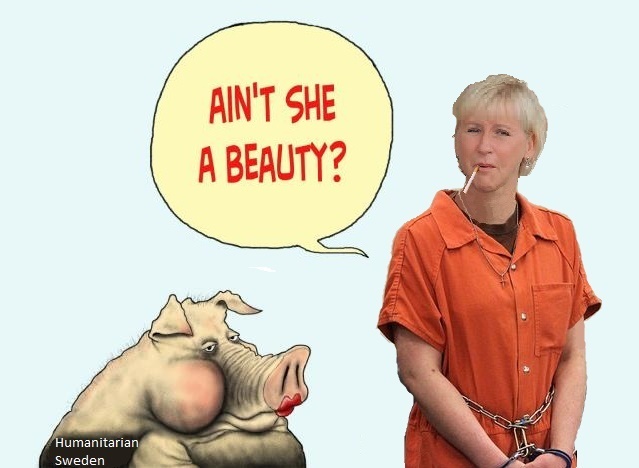 TIMES OF ISRAEL: THE MEDIA CROOKS OF SWEDEN……..
ILYA MEYER ON YOM KIPPUR AND HAMAN’S UTTERANCES OF DEATH AND DESTRUCTION……..
MANFRED GERSTENFELD INTERVIEWS ILYA MEYER ON SWEDISH POLITICIANS BEING ANTI-ISRAEL……. ILYA MEYER: WHEN DOES INTEREST BECOME OBSESSION……? SWEDISH FOREIGN MINISTER CARL BILDT AND HIS ANTI-SEMITIC OBSESSION WITH THE JEWISH STATE OF ISRAEL……. Ilya Meyer: Jack in the Box Jimmy……. ILYA MEYER: FREEDOM OF THE PRESS IN SWEDEN DOESN’T EXIST……. Ilya Meyer: Perceptions of the Gaza war: The View from Sweden and Norway…….